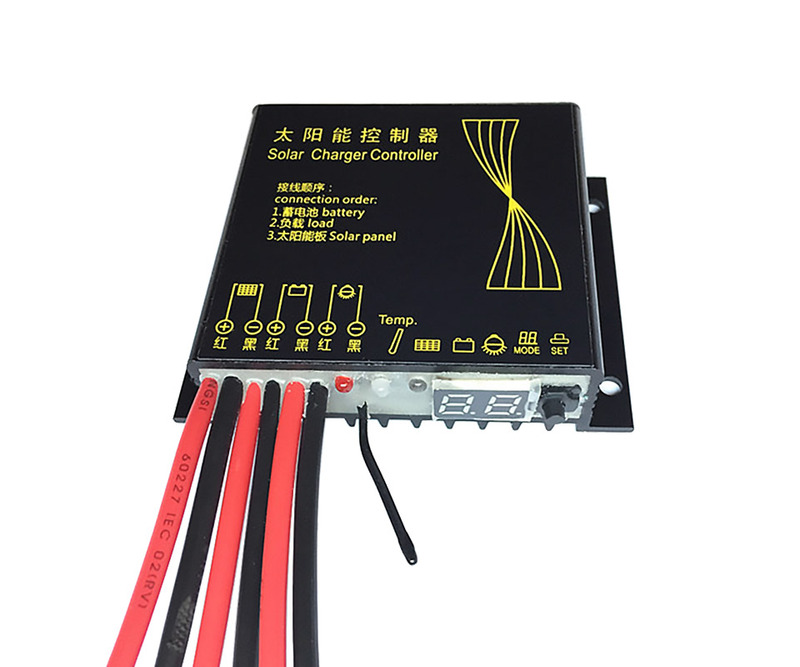 Voltage: 12.8V lithium iron phosphate battery dedicated (3.2V single section * 4 string). Charge to 14.8 cutoff, discharge to 9V termination. Full metal housing design for superior stability and long life. Intelligent PWM three-stage charging mode: strong charge, balanced punch, float charge. 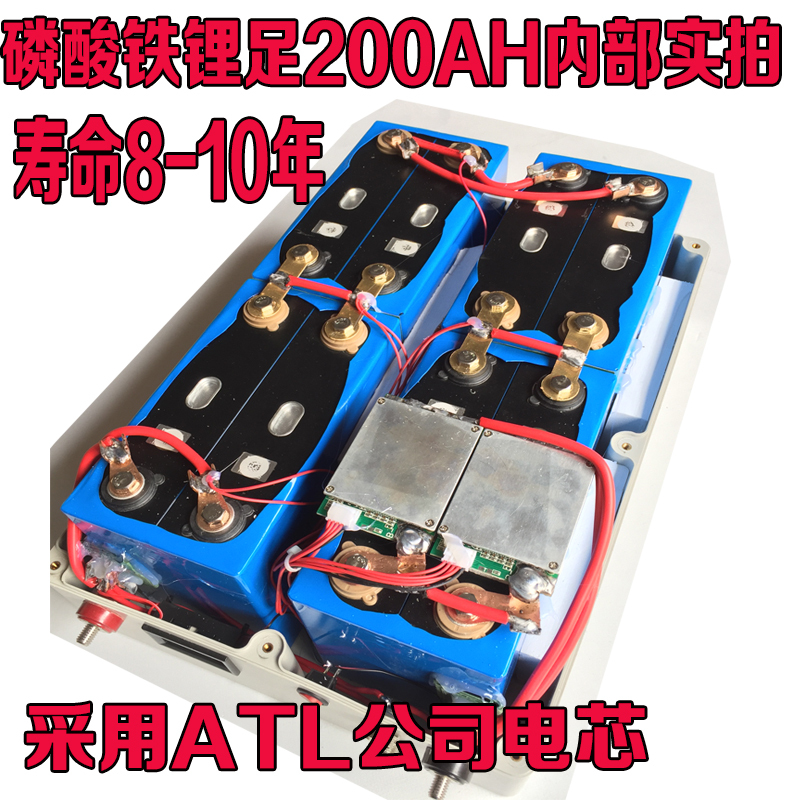 Inverter access: Uncertain factors such as excessive starting current and high back EMF at the moment of disconnection. 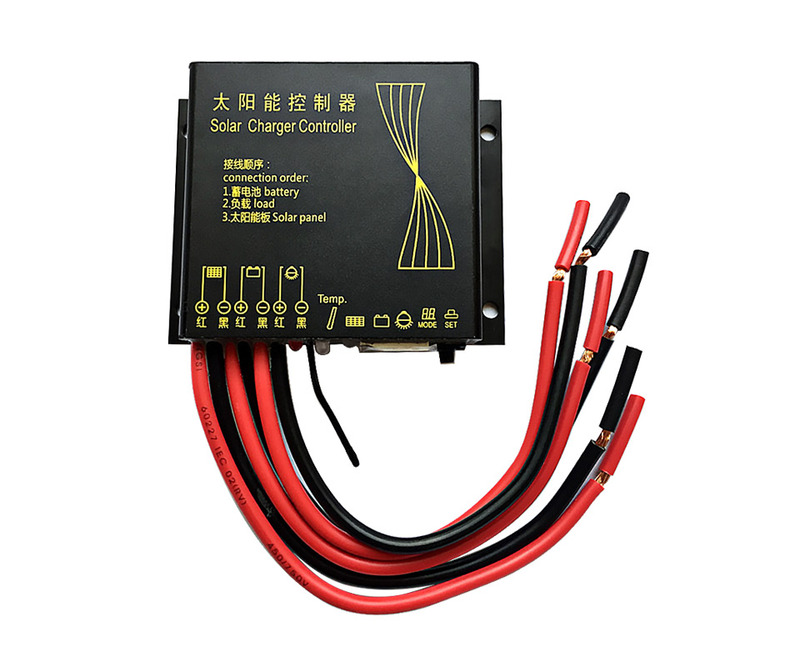 Should be directly connected to the battery end, it is strictly prohibited to access the 5/6 output of the controller. Inductive load access: When the inductive load is disconnected, because the current of the inductor cannot be abrupt, resulting in a high back EMF, a reverse diode is required in parallel across the load to form a freewheeling circuit to eliminate or reduce the back EMF. (such as relay coils, solenoid valves, contactor coils, motors, inductors, etc. 1. Adopt high-end brand MCU chip to realize fast intelligent control, digital tube display and one-button operation, parameter setting power-down saving function, no need for repeated setting and ultra-low standby power consumption. 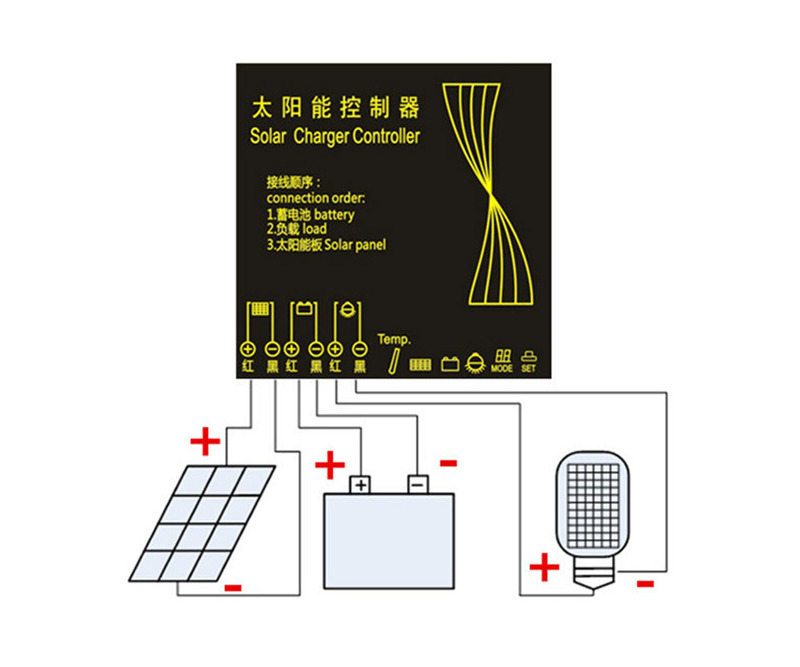 2, charging using high-efficiency series PWM circuit, the voltage loss in the charging circuit is reduced by nearly half compared with the charging circuit using the diode, the charging efficiency is 3%~6% higher than the non-PWM; the improved three-stage charging algorithm is performed on the battery every week. A balanced charging, effectively preventing battery imbalance and vulcanization, and improving battery life. 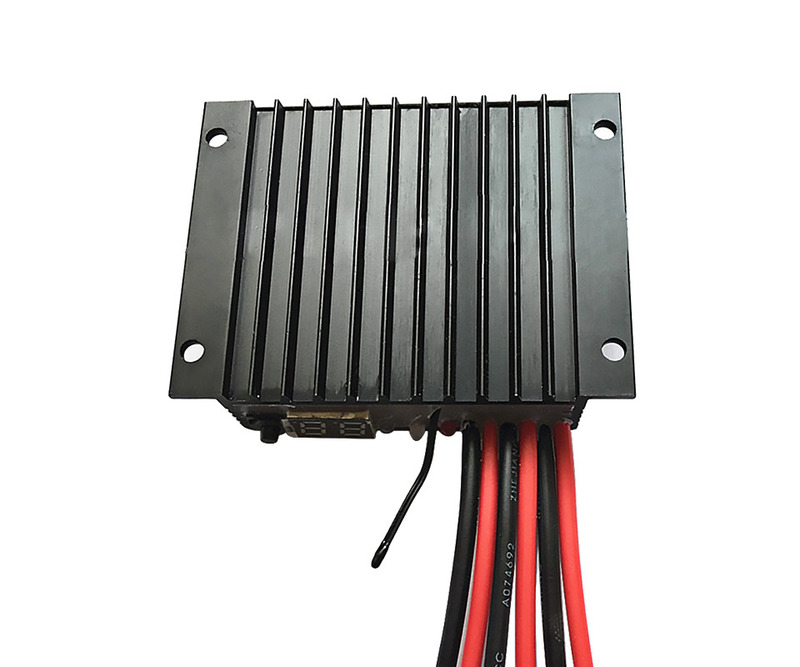 3, the use of power MOSFET as an electronic switch, without any mechanical switch, without any protection action delay; battery undervoltage, overvoltage, output overload, short circuit, battery, solar panel reverse connection, controller overheating and other comprehensive protection functions. 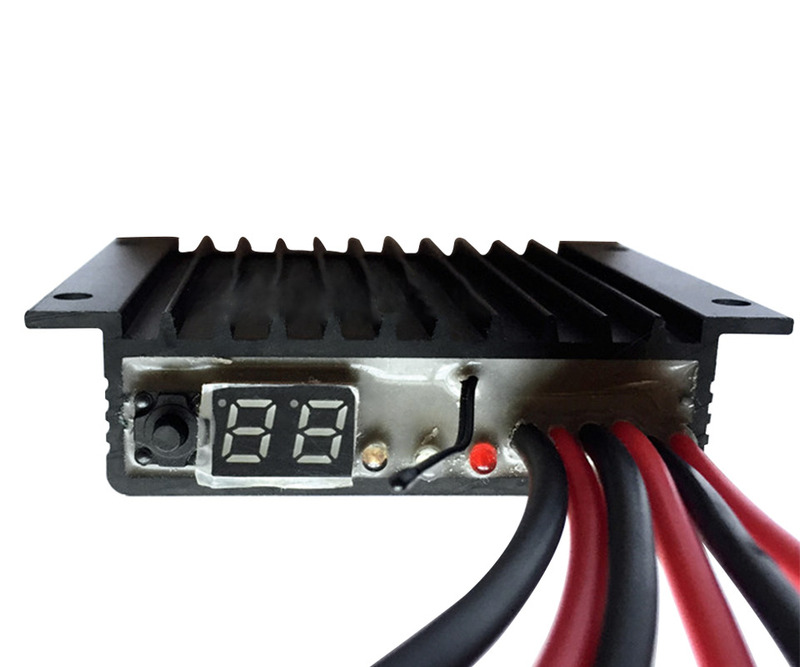 4, charging parameters automatic temperature compensation, the product uses a metal casing, with super heat dissipation conditions. 5. Three discharge working modes are adjustable: normally open mode, pure light control mode, and light control plus timing mode. 6. Friendly human-machine interface such as controller output indication, power-on system voltage indication, etc. 1. The battery stores a lot of energy. When using it under any circumstances, do not short-circuit the battery. We recommend connecting the fuse on the battery cable (slow-motion type, according to the rated current of the controller). 2. Do not touch or short the wires or terminals. Since it is possible to generate up to twice the rated voltage of the battery on some terminals or wires, use an insulating tool when handling. 3. Please keep children away from batteries and controllers and solar panels. 4. Please observe the safety recommendations of battery manufacturers and solar panel manufacturers. 5. 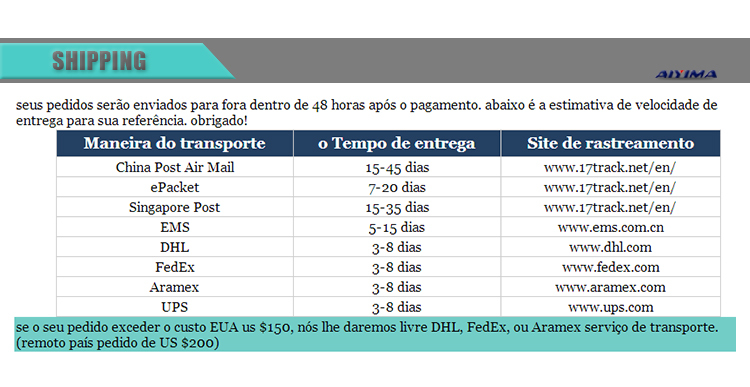 When use this controller, please keep the ventilation and heat dissipation due to the heat generated by the equipment. 6, the equipment pay attention to waterproof, moisture, so as not to damage the equipment.